Though NISC has always aimed to have a small-company feel, it’s no doubt that we are growing, and our Membership is growing as well. Though each of our four offices are based in the midwestern United States, we represent Members in all 50, as well as American Samoa, Canada and Palau. It’s incredible to see how we’ve expanded to become a true international organization over the course of our 50-year history. 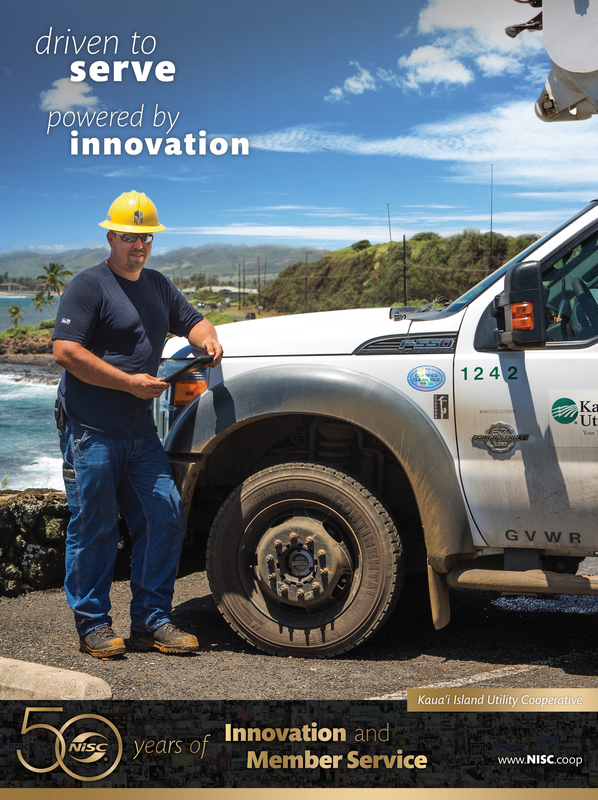 Kaua’i Island Utility Cooperative (KIUC) has been an NISC Member for 15 years. Contrasted to the scenery surrounding NISC’s offices, KIUC is engulfed by palm trees and lush greens – an oasis among oasis’s. For Mailer Alfiler, manager of Member Services for KIUC, it’s a scene all too familiar as she was born and raised on the beautiful island of Kaua’i in Hawaii. Despite a five-hour time difference, Maile said receiving support and help from NISC has never been an issue for the co-op. Just before becoming an NISC Member in 2003, Kaua’i Electric, as KIUC was formerly known, went up for sale with much uncertainty as to what was ahead. The main reason for signing on with NISC, Maile explained, was the implementation of an AMI system. At the time, they were using a CIS system from Daffron and an ABS system through NISC. In order to better manage the data coming in and to take advantage of new technological offerings, the cooperative knew they wanted to be on the same platform. That was just the beginning of KIUC’s adoption of NISC solutions. Servicing members on an island can prove a difficult task at times for the cooperative, as they often must overcome hurdles that other NISC Members seldom worry about. For KIUC, it’s all about preparedness. In 2008, the KIUC Board of Directors set its first strategic goal for renewable energy: reaching 50 percent renewable generation by the year 2023. In 2016 the goal was revised to 70 percent by 2030, and the State of Hawaii has mandated that all islands be 100 percent renewable by 2045. 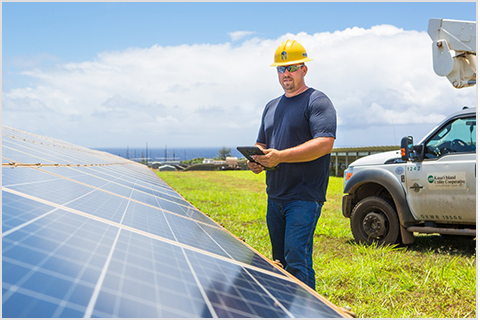 Utility scale solar and rooftop solar currently comprise about more than 80 percent of Kauaʿi’s renewable power. KIUC has placed much focus on solar and are currently working on several projects to move solar power to evening peak usage hours. The Tesla project, the world’s first utility scale solar-plus-battery storage facility, garnered worldwide attention when it opened in Kaua’i in March of 2017. When operating at peak efficiency, Tesla’s 13 megawatt (MW) battery storage system moves 52 megawatt hours of solar power to Kauaʿi’s evening peak usage period. KIUC estimates that by the end of 2019, when two additional solar-plus-battery storage facilities are expected to be operational, roughly 65% of the island’s peak nighttime demand will be met by stored solar energy (You can read more about the project here). 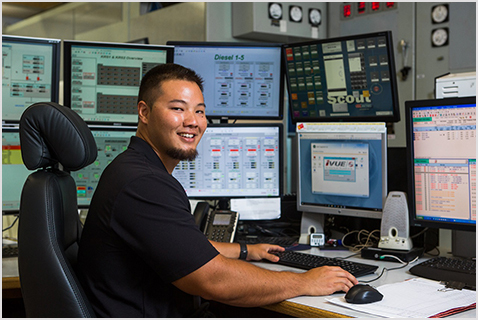 A couple of weeks ago, with help from a local photographer in Hawaii, NISC set out to take photos of employees at KIUC for our current advertising campaign running in industry publications including NRECA’s Rural Electric Magazine. Shelley Paik, who works in communications at KIUC, shared her excitement for the ad, and how the request came at the perfect time. 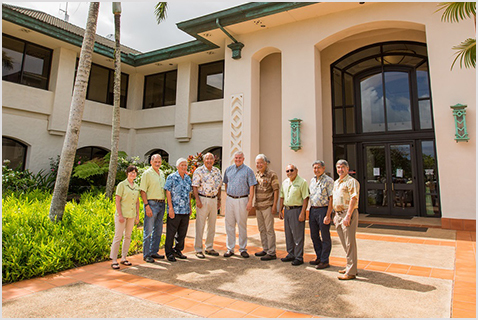 In reflecting on NISC’s 15-year partnership with KIUC, Maile brought up NISC’s flexibility and willingness to always take on new projects as technology continues to advance.